Intel's CEO Paul Otellini is creating a bit of a stir for Microsoft. 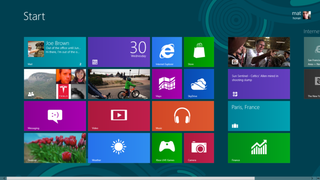 Bloomberg reports that he's been telling employees in Taiwan that Windows 8 is being released before it's fully ready. A Bloomberg source claims that Otellini still feels that the software needs improvements to be made to it. The report goes on to suggest that Microsoft is launching Windows 8 in time for the holiday shopping season, in order that it can complete with Apple during the most profitable time of the year. Arguably, that's probably the correct business decision. In fact, Otellini is even rumored to have told staff that it's not a bad idea—adding that Microsoft can make improvements after it ships.